Lewis Center homes are simply charming. Quaint neighborhoods such as Hidden Cove, Summerfield Village, and Wynstone feature properties with finished basements and spacious lots. 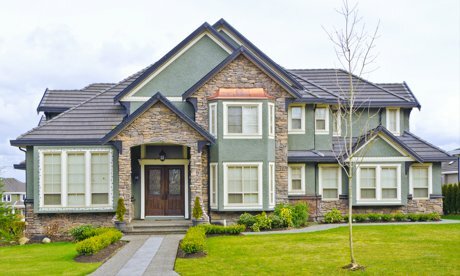 There is plenty of curb appeal with welcoming front porches and tree lined streets. Condominiums and townhomes are stylish and roomy as well. Fun is sure to be found around each corner. Multiple parks meet the needs of locals. In the wintertime there is plenty of sledding and ice skating in Glen Oak Park. Spring and summer brings t-ballers and soccer players to the fields. Plenty of paths maneuver through scenic woodlands for hikers and bikers to enjoy. Canine family members from Lewis Center homes feel the love too. At the Friends of Alum Creek Dog Park pups can have a tail wagging good time in designated spaces and beaches. Children growing up in Lewis Center are taught by dedicated teachers in the Olentangy School District. Educational enrichment is a priority with small class sizes and key educational programs. A lifetime is spent learning and regional senior citizens can continue to expand their minds at the Source Point Enrichment Center in nearby Delaware. Here a variety of classes and activities encourage hobbies, socializing, and exercise. Considered part of Orange Township in Delaware County, the community living in Lewis Center real estate live a quiet and contented lifestyle. Stop by and find the perfect place to call your own.